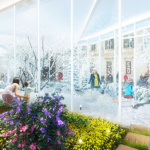 As climate change blurs the typical boundaries between seasons, a forthcoming installation by Carlo Ratti Associati and Studio Römer will take that a step further, by exploring the relationship between nature and living in a piece that combines spring, summer, winter, and autumn under a single roof in the center of Milan’s Piazza del Duomo. 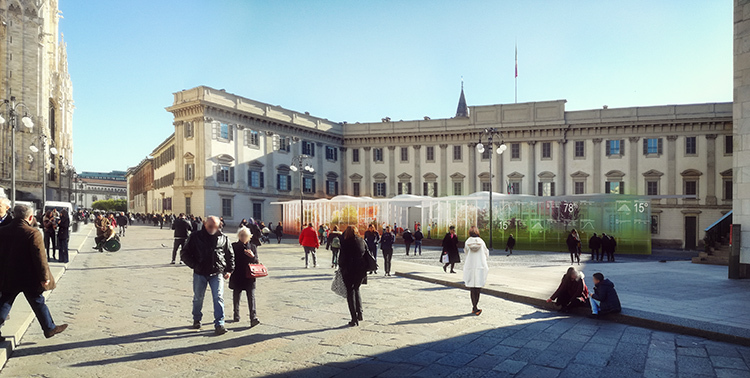 Titled “Living Nature,” the 5,400-square-foot garden pavilion will be open to the public in the city’s main square over the course of the Salone del Mobile fair, from April 17 through 15, 2018. 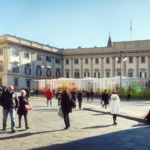 With its four natural, climactic microcosms, the piece is ostensibly a study on the relationship between the natural environment and the city surrounding it, but it also goes one step further by experimenting with the latest technology in energy management systems, including photovoltaic cells, accumulators, and heat pumps. “In the 20th century, cities expanded outwards to conquer nature and the countryside,” says Carlo Ratti, founding partner at CRA and director of MIT Senseable City Lab. 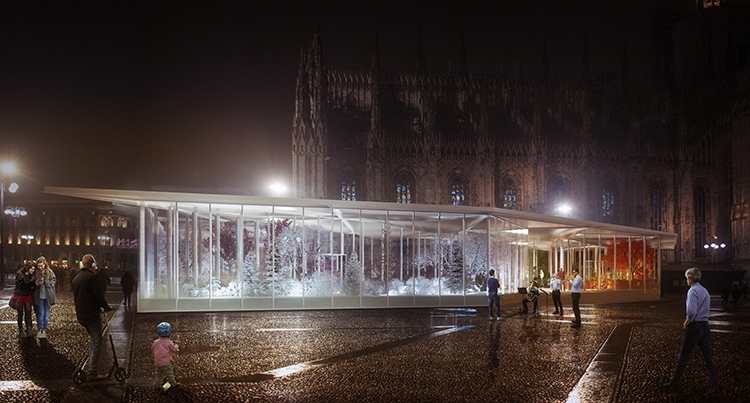 “We believe that today’s challenge is the opposite: How can we bring nature back to the city and in the house?” Citing Bosco Verticale as an example of Milan’s leading-edge engagement with biophilic design, Ratti says his firm’s new project “continues such a reflection, bridging the domestic dimension closer to today’s most pressing environmental challenges.” As such, the pavilion will be divided into four “rooms,” each with its own interior furnishings and plants selected by French botanist Patrick Blanc. Though climate control is often associated with excessive energy consumption, the new project aims to spark a conversation about sustainable design. The structure’s Crystal membrane dynamically filters light based on input from light-reactive sensors. PV panels generate the energy to heat the summer area and cool the winter zone, with excess energy generated during peak production times stored in a battery system.